I was pleasantly surprised by a visit to museum Wilanow in Warsaw, Poland. 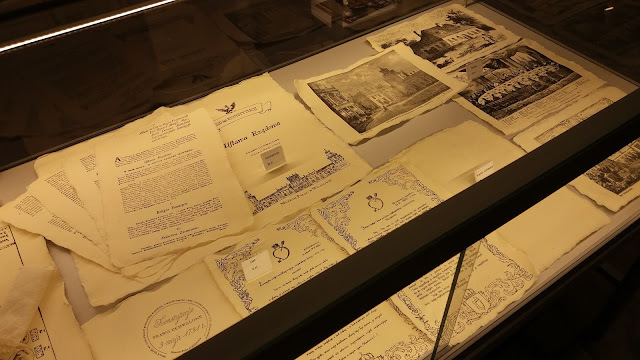 The Wilanow Museum had a display section for old writing instruments and papers. 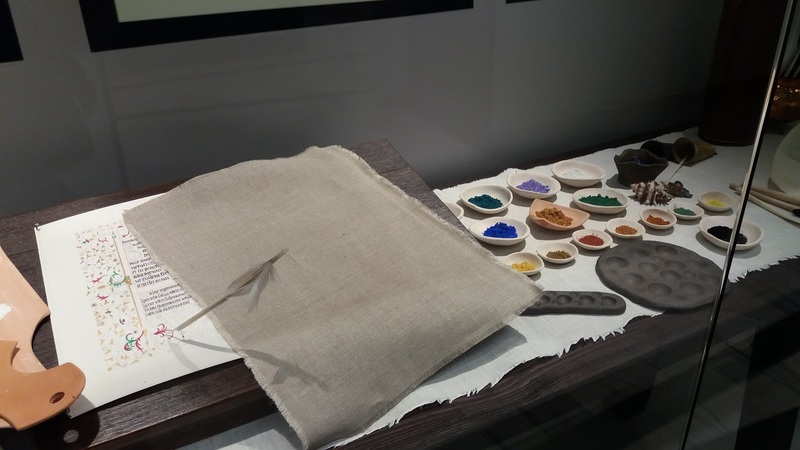 Quill, diverse pouders for making colors, and even an old printing press. I liked the fact that a curator was working on reconditioning old prints and was showing the visitators how a book would have been printed. Quite laborious work. Manufacturing the letters, arranging them, and printing. The paper needs to be soaked in water before it gets pressed, to be more malleable. After using the press the operator needs to check if all the letters are uniformly printed, and if not he remedies the problem. And this is just one page. But it is still a lot faster than writing by hand. 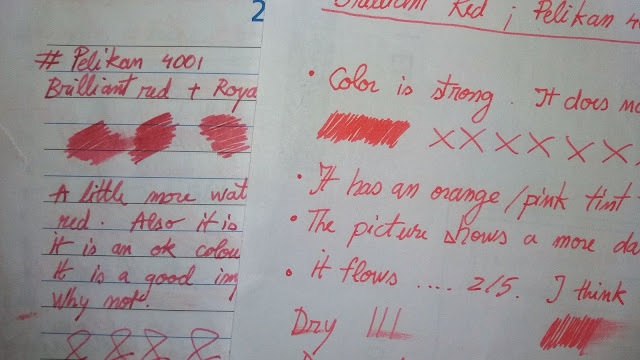 I got enthusiastic about ink colors and I bought Pelikan 4001 brilliant red. 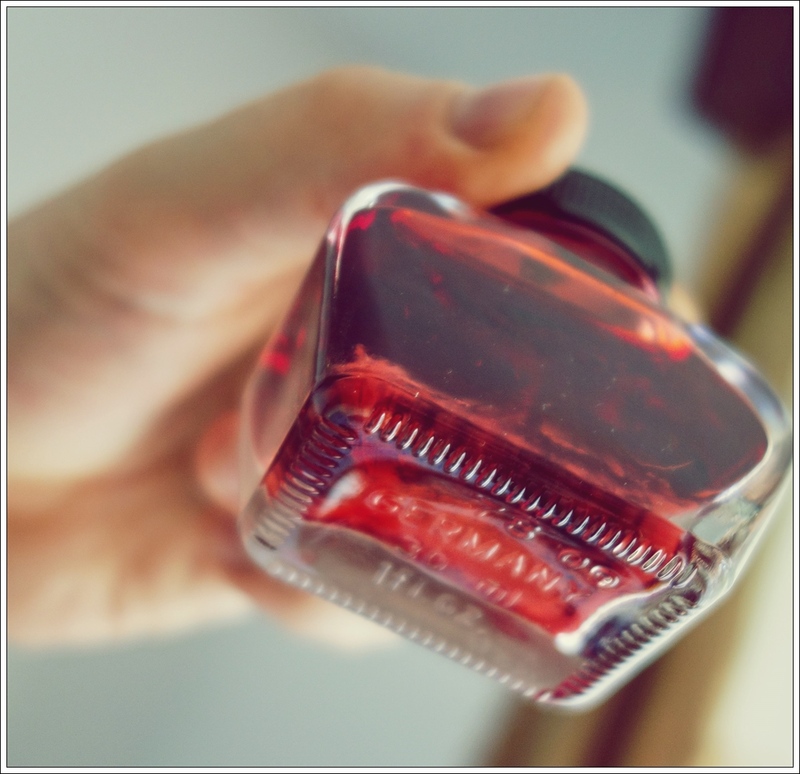 It is not a color that I use regular, but I felt it would be cool for occasional writing and mixing it with other inks from Pelikan. The conclusion is that I should have read the reviews first. 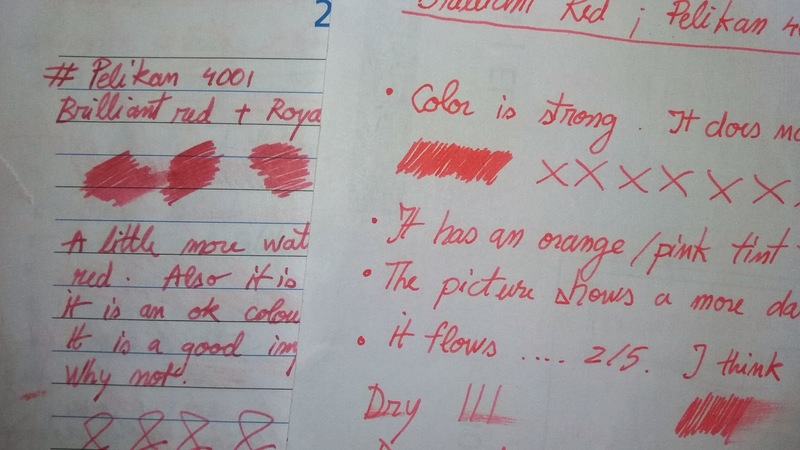 Pelikan 4001 Brilliant Red Ink is a big no no. The ink has many flaws regarding color, mixing, deposits in the inkwell etc. You can make it look a lot better by mixing it, but it is not mixing well and clogs the pen. You can see in the bottle a white deposit on the bottom of the reservoir. If you shake it, the deposit mixes, but only for a short time. 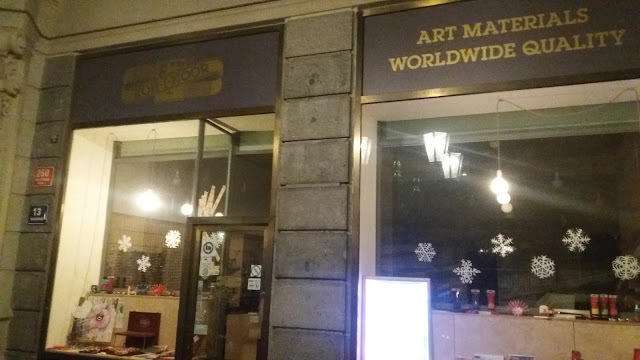 For a company that has so much tradition, it is a very big disappointment. Why would you tolerate putting on the market such a bad product? 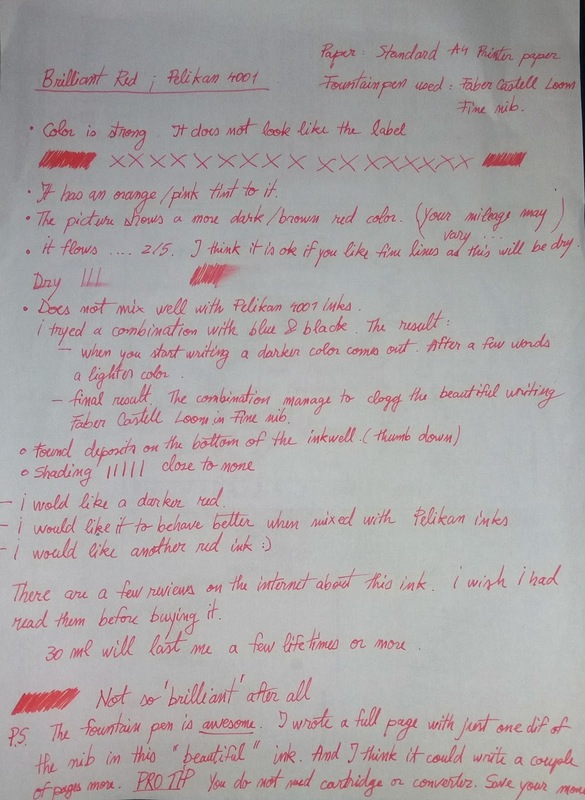 To show how bad things are, if you look on the internet for Pelikan 4001 Brilliant Red you will find pictures and videos where the ink is orange. Looks nothing like the one I got. Even gods need a pen from time to time, and when they need they go for a Bic 4 colours. 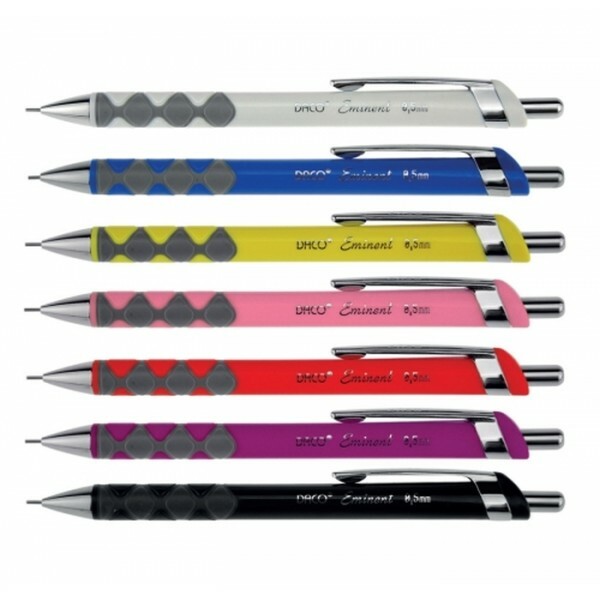 Versatile writing instrument. What can i say, he is a practical god. Is the Bic mightier than the hammer? 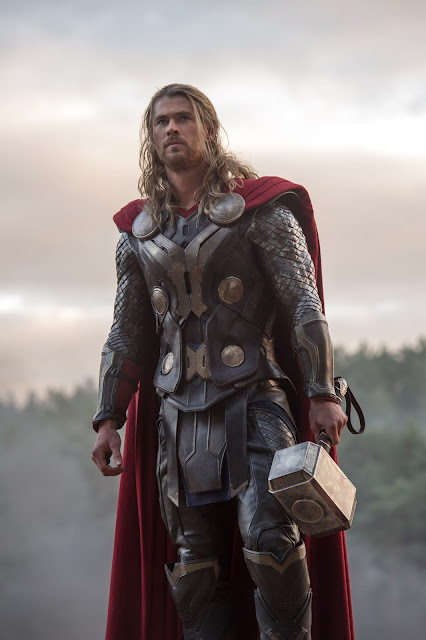 The Bic 4 colors ball point pen appeared in Thor Ragnarok when Thor is explaining the Multiverses. Today I was surprised when I found in a stationary store a rotring eraser. 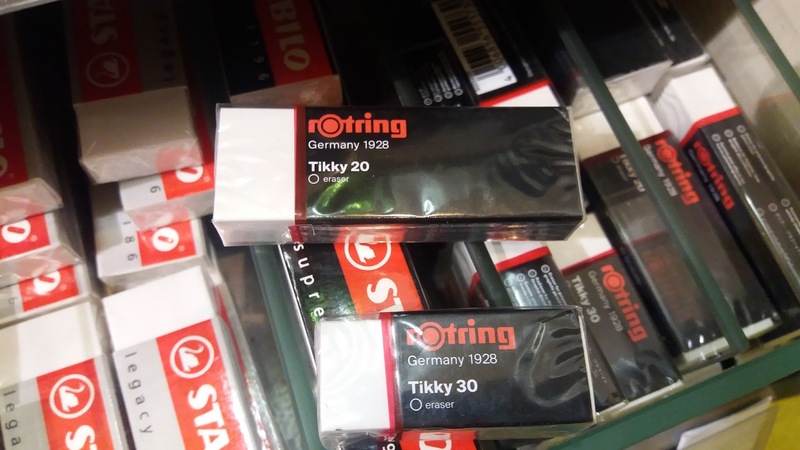 I don't know why but lately it is very difficult to find rotring erasers. They seem to have been replaced by the Faber Castell, Stabilo, Pelican, Factis, Stadler and other less known brands. 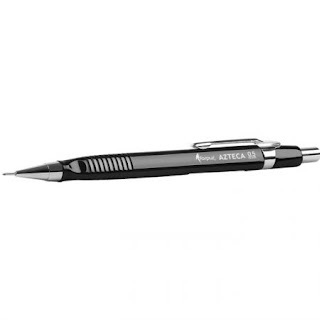 But what is better suited to accompany a mechanical Rotring Tikky pencil? Even though not the best eraser it does a very good job. One downside compared to the more praised Faber Castell 18 71 20, the Rotring is not dust free. It makes more crumbles. But like the Tikky it is affordable, good quality and long lasting. It got me through College and it's still going strong. The Tikky comes in three sizes, 20 being the biggest, then 30 and 40. What has happened to it in the meantime? I guess it got a makeover. In the meantime and seems the Rotring changed though color of the covering. It is now black, only the Rotring symbol remains red while the rest of the writing is white. I do not know if this is an improvement, I really liked the simplicity of the previous design very Google ish for a lack of a better word. I mean it is simple and straightforward. On the other side, I can see a benefit from the black cover. I have my old eraser since college and in the meantime the white it is not that white, it's kind of dirty yellowish. So the dark cover might add a plus in the long term. 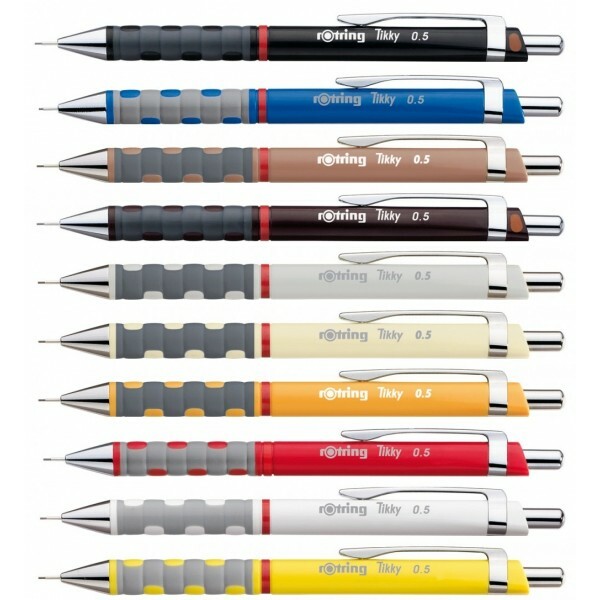 On the Rotring site, the photos of the eraser still feature the white hood. But digging deeper and looking through Rotring catalogs the change was made around 2015. 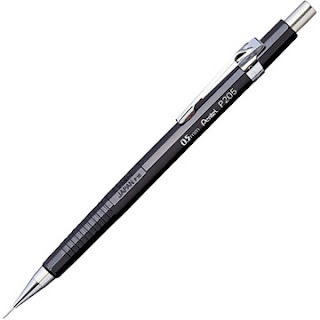 At the last visit at the local supermarket, I saw this mechanical pencil somewhat copying the design of the Pentel Graphgear 500, that came along with a pack of 20 2B leads, all for 0.50 $. If interested you can see some more look-alikes in the post Copy cats. My thoughts were, I can not go wrong with the package, if the mechanical pencil is crap, at least I get an almost free pack of leads. 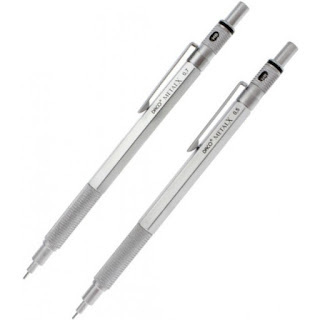 The design of the mechanical pencil is interesting, I would call it nice. I like the fact that the grip is a separate piece of plastic with a silver color while the barrel is black. 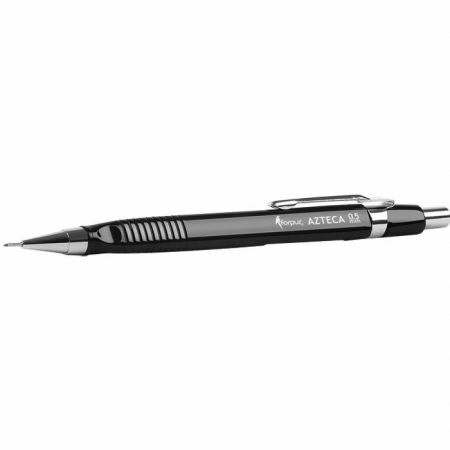 The mechanical pencil looks ok with the condition you look from a distance. At a closer glance, you see the pencil has a bend in the shaft. The fixed sleeve is a little larger than the diameter of the lead so there is play in the lead, and this causes the lead to break a lot. Also, the lead advances too much at every push. In combination with the soft, easy to break leads it came with it is a disaster to write. The led it came with branded as microled even though is 0.5 mm it is larger, or at least some of the mines are. 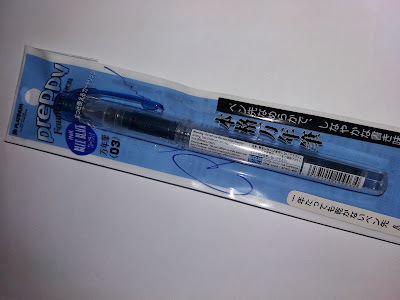 I tested various leads in the post "Mechanical pencil lead", including the one that came with this pencil to see if is there a real difference in quality between known brands that have decent quality products and cheap no name leads. Biiiig mistake. I used a Rotring Tikky and first the lead broke. Not a tragedy but it got stuck in the sleeve and I could not get it out. It was stuck like glue in. I had to use a needle and pliers to push the led out. 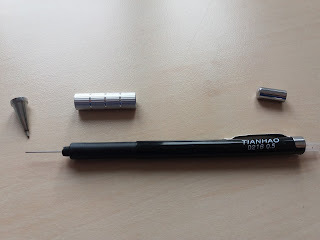 After a bit of struggle, it came out with a plastic bit that is inside the sleeve of the Rotring Tikky which has the role to keep the lead tight with no wobble when you write. It does not come with an eraser, but this is not a problem for me as I do not like to use the erasers that come with my pencils. Not because they are not capable, but because I do not like the look after use. I always have an eraser block with me. The clip rotates around the barrel and does not inspire confidence. But I think this is the greatest feature of the mechanical pencil. At least you can have the hope of losing it sooner rather than later. But probably this will not happen as the clip is not that problematic. In conclusion, the mechanical pencil is bad and it's not usable. I never thought that I will see pencil rip offs but it seems that there are quite a lot on the market. I am trying to understand this market. What is the reason, well you get the same look a lower price. There are expensive products for which it makes sense to me to make a copy but why would you copy the design of a 3 - 4$ product? Could it be that they are just lazy? and again Rotring vs Daco, red vs black. or maybe Bic Criterium, ish. 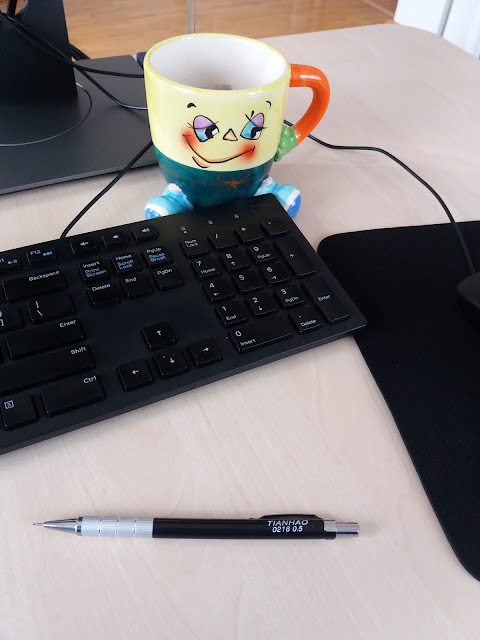 The cap is missing, Bic uses an eraser that looks similar to the Faber Castell 1345, so this is a mixed cat. With shame, I have to say this one I actually own. This 0.5 $ mechanical pencil made me think about this post. If you have other copy cats in mind let me know in the comments. 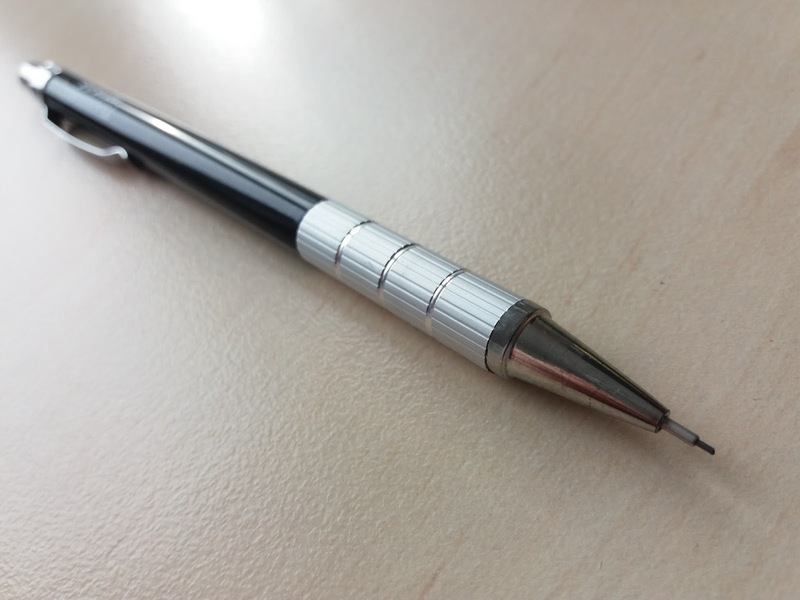 A new mechanical pencil spot in the movie "Paul". An older movie with Simon Peg where Graeme Willy (played by Simon) is trying to help the alien with the name Paul (voiced by Seth Rogen) to escape from earth. While in the RV, Willy is drawing a sketch of Paul, using a mechanical pencil. This last picture is where you can see the entire pencil. 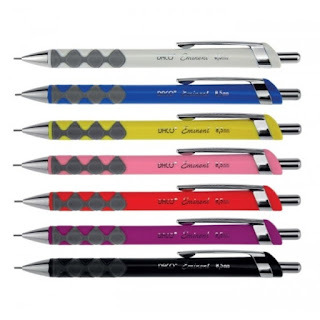 Again with high magnification, it is more clear that the mechanical pencil used by Simon Pegg is a Pentel. As you could see from the recent posts, board games are receiving more interest from me. Just before Christmas I bought the game, a great period for having family/friends over, eat snacks and a looot of food, drink soda and everything alcoholic and have some fun. I was in doubt if I should purchase this game, as it did not appear to be very fun or addictive from the game plays I found on youtube. I bought it as it got good reviews from everybody and high scores. After buying it and playing a few rounds of the game I have to say it is a great card game. A lot of fun. Even those that were very skeptic at the beginning, after just a round, the Russian roulette style card turning game offered instant fun and thrills. Let's play just one more round. In conclusion, everyone had a lot of fun playing the game. The game is a bunch of cards with different icons characters or ships. At the same time, the cards have two rolls when they are face up they are used according to the picture on them when face down they are used as gold coins. The goal is to gather victory points either by completing quests or by collecting character cards that have victory points. I recommend this game even after half a year since I own it. It is an easy fun game for everybody. When I buy lead for my mechanical pencils I just get Rotring. Why? Because I am a Rotring fan and second because is widely available where I live. 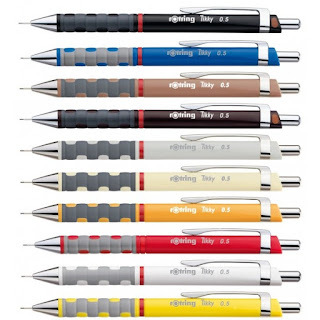 The most common brands are Rotring and Faber Castell. And because when it comes to products for me Rotring tops Faber Castell I just go with the first choice. But I am curious what is the difference between products. I used in the old days other unknown brands, and the big difference that was very easy to see was the fact that cheaper brands offered brittle lead, that would break with a small amount of force. So I am curious how will a lead produce or branded by a reputable company stand against a cheap no name. So I rounded up HB and 2B lead that I have laying around. The first difference you see is the price. While Rotring, Faber Castell and UNI are priced similar at around 0.8 euro for pack of 12 x 60 mm leads, the no names are around 0.25 euro for a pack of 20 x 60 mm. Even though the value is negligible the price difference is high. So what do you get for more money? First and most important is consistency. The cheaper brands Mirco in particular was CRAP. 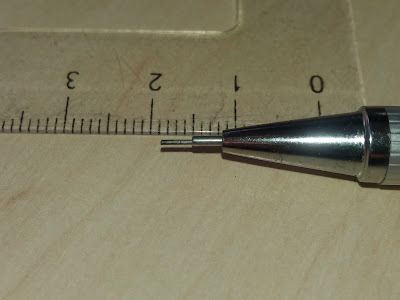 It managed to take a part out of my beloved Rotring Tikky III 0.5 mm. The thickness was larger and clogged the pencil. Luckily I have a Staedtler Mars Micro that comes with a metal pin for clearing jams. The jam was big that I needed pliers to push the lead out. While I managed to get rid of the jam I also got rid of a rubber ring that sits inside the sleeve that has the role of guiding and keeping the lead snug. I have to say that I did not had any clogs in the last 10 years or so. 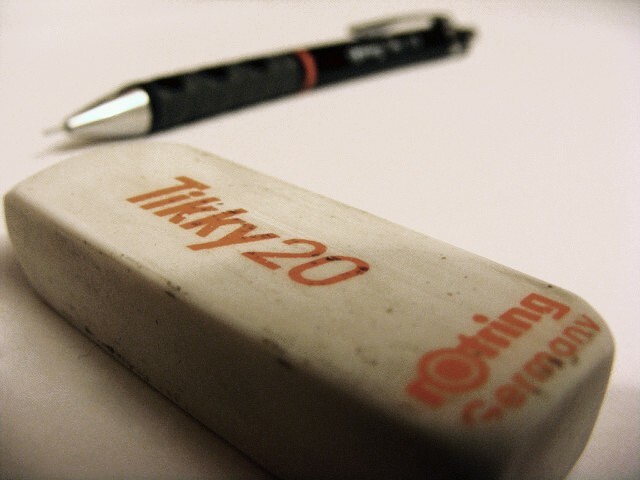 Even Rotring removed the unclogging pin since the second iteration of the Rotring Tikky because things like this just don’t happen any more. Ok let’s get passed this unpleasant experience. First thing you look in a pencil is the line it puts down. How visible it is, how resistant to smudging is, and does it erase easy or it lets an ugly smudge. 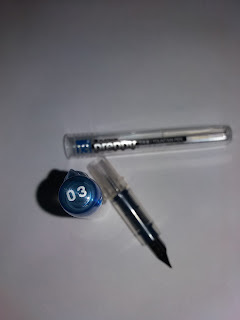 The UNI HB lead offered a less darker line, while Rotring HB and 2B offered similar darkness line (but I felt the 2B to be smoother while writing). Faber Castell HB was somewhere between the Rotring and the UNI. The Koh I Noor puts down the darkest line. All the no brand names offer decent to good lines. In a smudging test several finger passes over the paper Rotring performed the worse, the line is almost gone, while surprisingly the 2B Koh I Noor offered the best result. Water smudging same result. The leads did not put too much resistance to erasing. The best results: Rotring followed by Faber Castell and UNI. The worst Koh I Noor. All the no name brands have brittle leads, that break more easily under pressure. But it should not be a big deal if you have a light hand. The Preppy is my first fountain pen .. sort of. I had used fountain pens in the elementary school and I stopped using them as soon as I finished it. The use of a fountain pen was not a requirement in higher grades. I switched to a ballpoint without looking back. 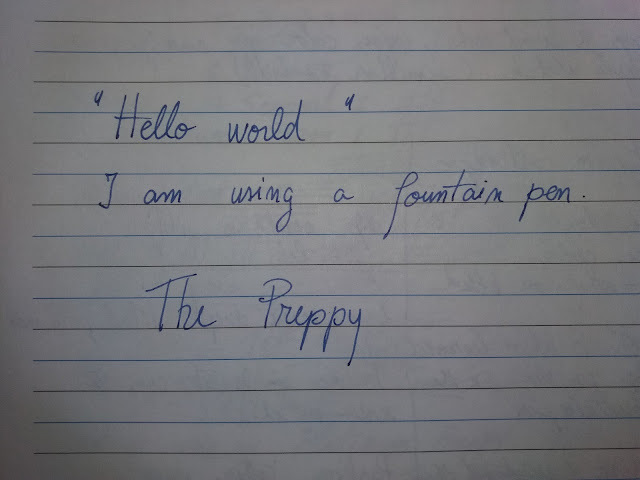 I can say I was traumatized by the fountain pen in my early school years. Ok traumatized is a bit much but I did not like the constant need of refilling it, I always had dirty hands, the ink smudged, and many times drips of ink were in the cap because of the handling. For some time I wanted to test a fountain pen, and after a bit of research, i went for the Platinum Preppy. 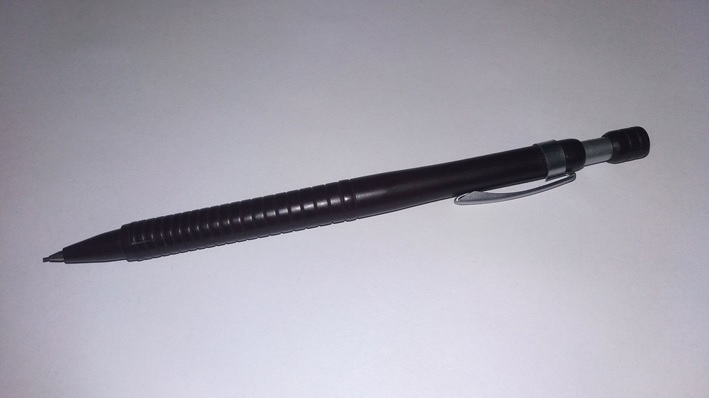 It is a nice looking pen, demonstrator style. In the shops, most fountain pens are for kids but this one is great for everyone. The pen comes in a plastic bag, nothing fancy. The first thing I did was to remove the writing from the barrel. I tried to use a rag and alcohol. It works but it is not easy, so I used the back of the Opinel blade. I managed not to scratch the plastic while removing the writing, but you need to be careful. Now instead of the ugly logo plus a ton of fine print, I can see the ink and the inside. I like the clear plastic look. It's modern, convenient as you can see if you are running low on ink plus it is not too flashy. The build quality is not one of the best. 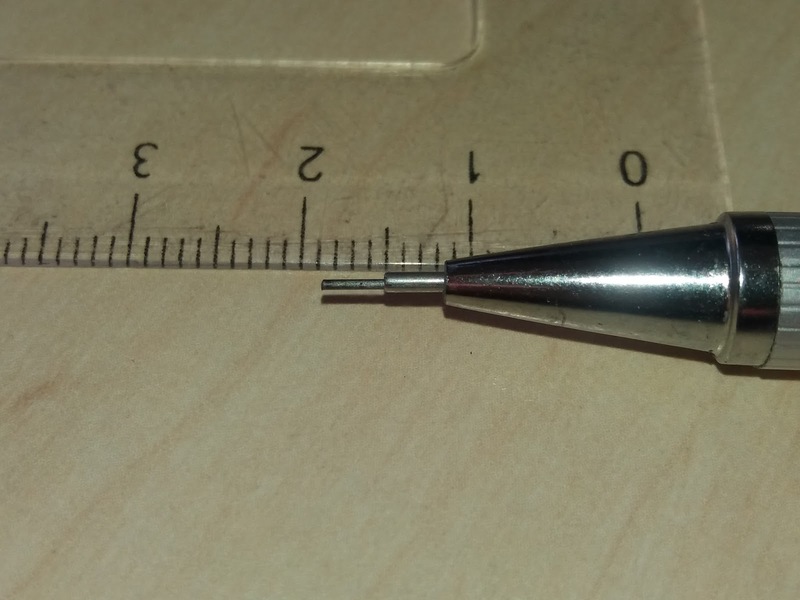 For example, the threads on the barrel are twice the size of the thread on the nib section. It fits well but you can see that some corners had been cut to save money. Since this is a new hobby it is hard to properly evaluate the performance. But I will say that the nib was a bit scratchy while moving it to the right. It put me off and I start messing with it. I tried realigning the tongs, then polished the nib on the back of a ceramic cup. It writes a lot smoother but wider and wetter. I like the result and I think there is still some work to be done. Overall the fact you have to mess with it is not a big minus. 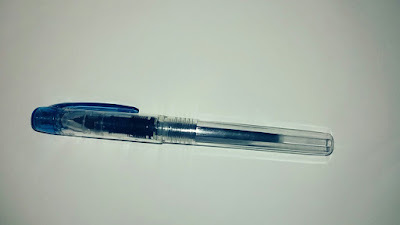 There are a lot more expensive fountain pens that come with a substandard nib out of the box. This is an aspect of the fountain pen world that I do not like. So I would say that for such a cheap pen and such a fine nib (0.3 mm) it is not a deal breaker. Maybe I will try a conversion to an eyedropper. Considering that I like using a fountain pen so much I will probably buy a better pen soon after all the Preppy served its purpose. I just wanted to see if I will use a fountain pen or I will stick to my old trusty mechanical pencils. This one is the bomb of party games. Why? Because it is hilarious. It is a game that is a combination between telephone and illustration, so the name Telestration. You draw, guess, draw guess and at the end of the round, you will find that laughing can be painful. What do I need to play telestration? 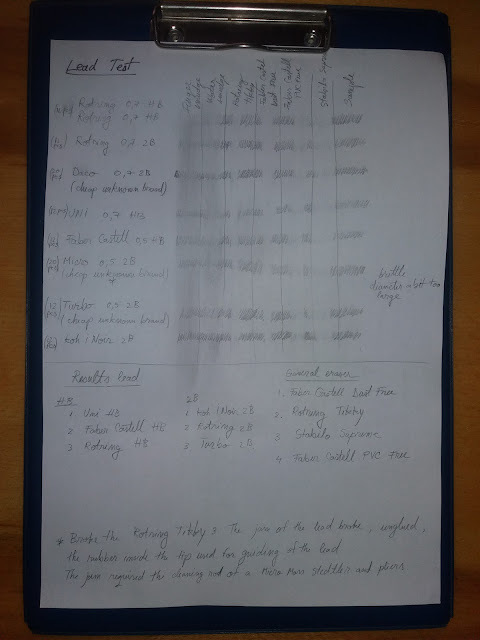 Because this is a DIY here is a list of things needed for the game. For first you need a bunch of cards with things that you have to draw. The more abstract the definition the more fun the game will be. A good starting point is Cards Against Humanity (white cards). If you do not have the game you can print the cards on standard paper and cut them. You can find the pdf on the internet. Of course, you can add your own cards in. Second thing is paper, a notebook would be great. One for every person playing. If you really like the game and want to play over and over again, I suggest buying a whiteboard foil and make notebooks out of it so you can reuse it every game. The cost of the whiteboard foil, markers, notebook on which to stick the foil, cutter, and other small things will cost you around 30 $ for 10 notebooks. Third thing, something to draw with. How do you play Telestration? The more the merrier. Everyone draws a card. You start a timer for 1 minute while everyone has to draw what is on the card, without using layers or numbers. Then you sign the drawing and pass it to the left. The player receiving your drawing looks at the drawing flips the page and writes what the drawing represents and passes the notebook. 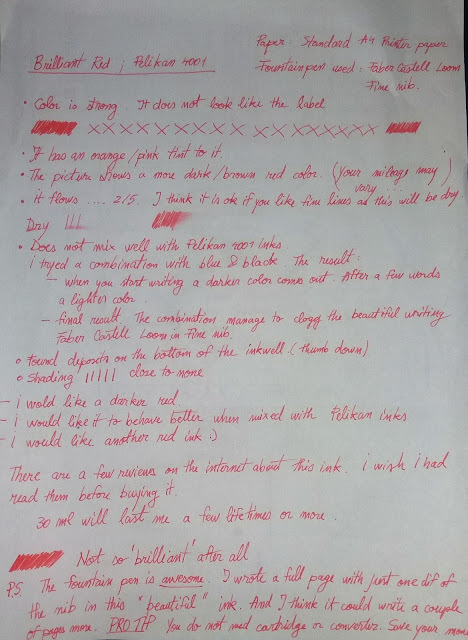 The player that receives it only sees the thing the last person wrote, not the initial drawing, and has to make a drawing based on the guess. And the notebooks are passed like this until your initial book gets in your hands again. After this, each player tells the story of his notebook. It presents to the rest of the group what was the note and goes through every drawing and guess. This is the real fun, laughing and making fun of the drawings and guesses.